Indian number four Reliance Communications (RCom) is taking control of Sistema Shyam Teleservices (SSTL) via a stock swap, in what has been deemed “a milestone event” for Indian consolidation. Bangladeshi service provider Bangla Trac has selected Cataleya to streamline traffic management and improve quality of service (QoS). A new partnership between Ericsson and Sri Lankan connectivity provider Dialog Axiata will make Managed Enterprise Cloud services available in the island nation. India’s number four Reliance Communications (RCom) is reportedly discussing a merger with two of the smaller operators, Aircel and Sistema (SSTL). Alcatel-Lucent and Indian cable operator DEN Networks are launching ultra-broadband Internet connectivity using GPON fixed access, IP routing and aggregation technologies. Ooredoo Maldives and Facebook have partnered to connect more people to the internet with the launch of Free Basics in the Maldives. American Tower Corporation is acquiring a 51% controlling interest in Viom Networks. 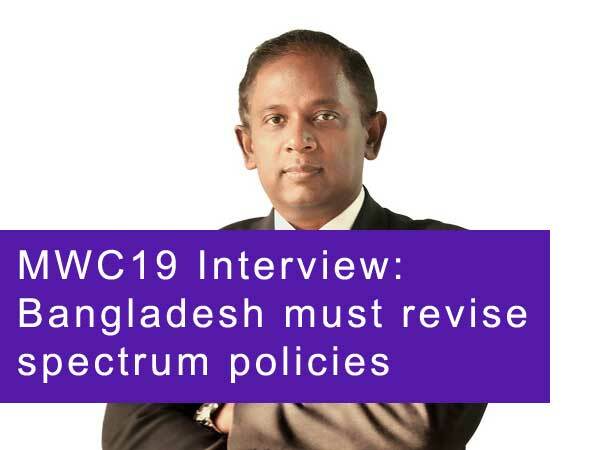 Grameenphone has been publicly slammed by Bangladesh’s State Minister for Foreign Affairs Shahriar Alam over its network quality. ZTE Corporation has signed a new 100G optical transportation network (OTN) contract with Reliance Communications in India. A merger between Indian number four Reliance Communications (RCom) and fellow operator Sistema Shyam Teleservices (SSTL) could be completed within a month. Bombay’s High Court has ruled in Vodafone’s favour regarding the operator’s long-running tax dispute that arose following its purchase of Hutchison-Essar. Indian operator Reliance Jio Infocomm is planning to use Wi-Fi hotspots to facilitate 4G data usage once it rolls out its 4G network in December. Global energy tech firm Intelligent Energy is purchasing contracts from GTL Limited to supply energy-management services across more than 27,400 telecom towers in India. Pakistan’s recent tax hike has seen a sharp fall in imports of both network equipment and handsets. Indian operator Reliance Communications (RCom) is in the final stages of selling off its tower business, with the bidding down to 4 companies. Swedish operator group TeliaSonera is reducing its presence in seven markets across Central Asia and Eastern Europe. The state-owned Indian operator BSNL has stated that it aims to begin its 4G offering by March next year. Syniverse is providing Sri Lankan operator Dialog Axiata with single-connection access to the Syniverse IPX Network Solution, which serves as the critical backbone that makes LTE possible. American Tower Corp is acquiring a stake in Indian tower firm Viom Networks. Ooredoo Group CEO Dr. Nasser Marafih talks with Developing Telecoms about Ooredoo's approach to its operation-wide relief efforts during crises. India’s leading handset player Micromax has partnered fabless semiconductor design firm MediaTek in a bid to accelerate 4G accessibility and fuel faster smartphone adoption in the country. Ooredoo has announced the launch of its Smart City initiative in the Maldives, with a range of smart solutions to be introduced across the country. Bharti Airtel has announced it has selected Ericsson as its partner for the launch of 4G services in Delhi, India, with Ericsson to provide equipment and software for the roll-out of the new network. Indian market leader Bharti Airtel has confirmed its acquisition of Indian ISP Augere Wireless Broadband amid speculation that it may sell its units in Bangladesh and Sri Lanka. Indian telecoms service provider Reliance Communications has partnered Internet of Things (IoT) firm Jasper to enable Indian enterprises to launch, manage and monetise next-generation IoT businesses. Nokia Networks and Save the Children have announced the extension of their partnership to protect Indian children during disasters, with Nokia set to deploy solutions to enable critical communication during disasters. Taxi-hailing app Uber and Bharti Airtel have announced a partnership in India, under which Uber riders will receive free in-vehicle Wi-Fi, and can pay using their Airtel Money mobile wallet. Indian spending on mobile services will reach US$21.4 billion in 2015, while mobile connections in the country will grow to 880 million, according to new research by Gartner. Airtel, Vodafone, Aditya Birla Nuvo, and Tech Mahindra are among 11 applicants to have been granted "in principle" approval by the Reserve Bank of India to launch payments banks, in a bid to achieve universal access to financial services in the country. India is expected to be the largest contributor to global smartphone unit growth this year, according to a new report, which also notes that 58 per cent of smartphones sold in the second quarter of 2015 were 4G-enabled. Google is relaunching its Android One project in order to strengthen its position in the Indian smartphone market. Huawei has won a $300 million contract to extend and modernise the 2G network of Uninor, the Indian subsidiary of Telenor. Emerging markets-focused ISP New Call Telecom is attempting to bolster its presence in the Indian OTT/app space by acquiring as many as 4 new companies. Sri Lanka Telecom has deployed new revenue management, interconnect and mediation solutions from NetCracker. Indian market leader Bharti Airtel is extending its 4G coverage in India from the current 45 cities to a further 296 urban areas across the next month. Orange has confirmed that it will sell its 100% stake in Orange Armenia to local ISP Ucom. Sistema Shyam Teleservices Ltd (SSTL) has stated its official opposition to the practice of zero-rating, which it claims runs against principles of net neutrality. Bhutan Telecom has selected a backbone solution from Coriant for its new country-wide DWDM infrastructure network. Indian operator Reliance Communications (RCom) has had a number of firms express interest in acquiring the tower unit that it is attempting to divest. Project Loon has signed an agreement to provide internet coverage in Sri Lanka, marking the first formal agreement between the Google initiative and a national government. Orange is holding discussions with Armenian internet service provider Ucom regarding the sale of its mobile unit, Orange Armenia. Russian operator MTS is acquiring IT firm NVision for RUB15 billion ($263.4 million). Bangladeshi operator Grameenphone has selected solutions from Anite for the collection and analysis of wireless voice quality and broadband network data. Finnish mobile manufacturer Jolla has announced that the first licensing partner for its Sailfish OS is Intex Technologies, the second largest smartphone maker in India. Robi Axiata has launched new integrated rating, billing, care, settlement and credit control solutions from NetCracker. Mobile operators across India have begun offering mobile number portability in order to comply with a government deadline.